Our recently renovated 2 bedroom cottage that is tucked away on a 5500 acre beef and sheep farm at the northern tip of the Coromandel peninsula. Come and relax in your very own piece of paradise where you will be woken by birdsong or the running of the nearby stream. Numerous swimming holes to pick from whether for a swim or a late afternoon bbq and bevvie. 2 bedrooms, 2 bathrooms will provide adequate comfort. 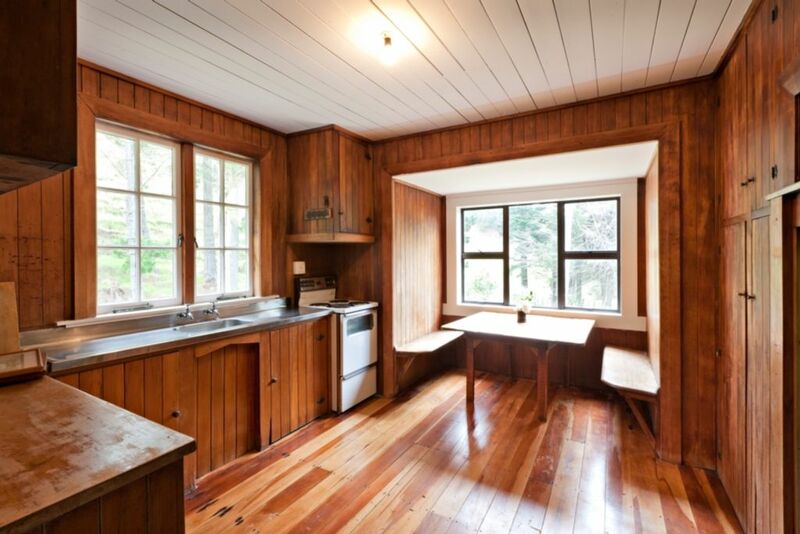 The old farm style rimu kitchen provides a hub for many a tale to be spun. Rates for 4 people. Extra Adult $15 per night, Child $10 per night. Bring own linen including blankets. Pillows, tea towels, bathmats and hand towels provided. House is 2km from beach but next to river which provides sheltered swimming. Room for tents on lawn. Pets outside by prior arrangement. Hi, We are 5th Generation farmers at Port Jackson. In 2001 Zander and Cath returned home to help run the family beef and sheep farm before taking it over in 2007. We have 3 children who you might meet running around the hillsides. We all love the outdoors and the simple life that Port Jackson offers us. Its natural beauty and freshness makes us want to share this little piece of paradise with everyone. What a fantastic holiday in this secluded and charming cottage. The perfect place to turn off the devices and get away from it all, with only the sounds of birdsong, cows and the nearby river to break the silence. It's a short drive to pristine Fletcher Bay and Port Jackson beaches, plus there are clear swimming holes in the river just across from the cottage. Will definitely be back when we need to recharge again! Thank you. A great place to unwind and relax, lovely old cottage and beautiful surroundings. Character features add rustic charm, great to disconnect and unwind. Cottage is simply furnished and utensils etc are basic but everything you need is there- just be organised. Only downside was the bed - super soft and small. Not sure my back could have handled another night. Thank you for having us in your lovely piece of paradise. Perfect for us: isolated, quiet,basic, no TV/internet/phone,amazing pristine river and bush. Fantastic holiday. Just what we needed! Great swimming, hiking, fishing and snorkling. And amazing property owners that made our holiday extra special?? Away from the madding crowd.